Electronic cars will undoubtedly become standard over the next few decades as fossil fuels continue on their journey towards their inevitable demise. There have been electronic cars all ready, like the infamous hybrid car the Prius, but fully electronic cars seem like a science fiction fantasy at the moment. 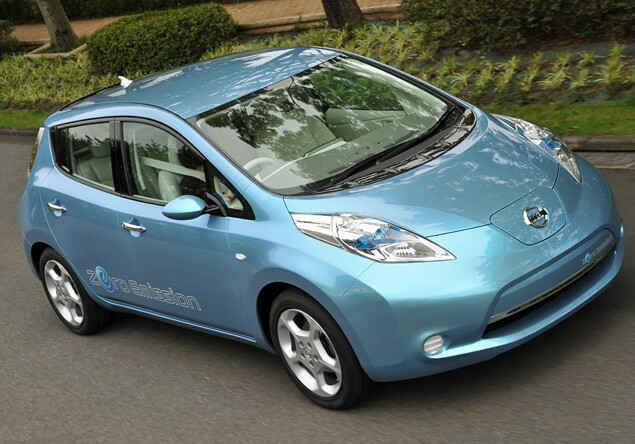 Nissan are trying to change that though, with the genius titled Nissan Leaf, a brand new fully electronic car. Some of us will think it’s a wonderful step forward for eco-friendly transport, and others will be put off by some of the myths surrounding electronic cars. You know the ones, ‘it’ll be too expensive’, ‘it will run out of juice every five minutes,’ that sort of thing. In an attempt to change our minds and debunk some of the electric car myths Nissan have made a series of video about the Leaf tacking some of the common misconceptions, the first being the misconception an electronic car will die on the way to work. In the first of the videos some doubters who demoed the Leaf, having managed to last a week on one charge, the doubters are converted. Check it out below and see if Nissan can change your mind and prove that electric cars are a genuine alternative to petrol or diesel powered cars, or at least for those of us who live in big cities which actually have power-points.